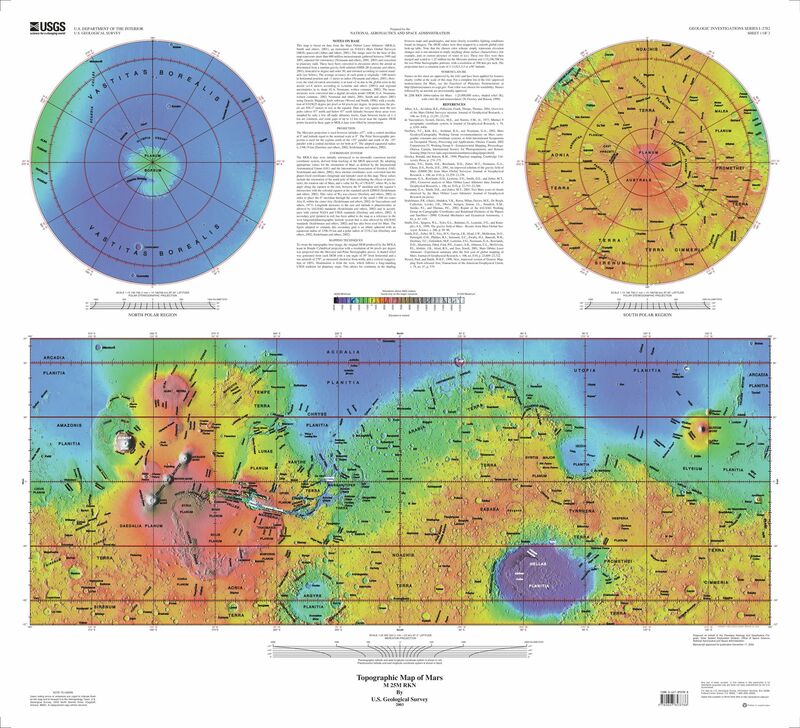 Map: Rectangular, colored, labeled map of Mars, and two circular maps of its poles. Click to enlarge or download this beautiful map of Mars produced by the U.S. Geological Survey's Astrogeology Science Center. The Astrogeology Science Center uses sophisticated technology to map the surface of objects in the solar system. This map is a shaded topographic map of the Martian surface. The colors differentiate elevation—violet and blue being low elevations, tan and white being high elevations. The United States Geological Survey, also called USGS, is one of the many departments in the U.S. government. USGS scientists study the entire landscape of the country.